Invisalign Queens, NY - Queens Braces - Forest Hills, NY orthodontist Dr. Halberstadt offers free consultation appointments. Call us today for your new smile!! Serving Forest Hills, Rego Park, Kew Gardens, Richmond Hill. Public parking is availble at this office location. 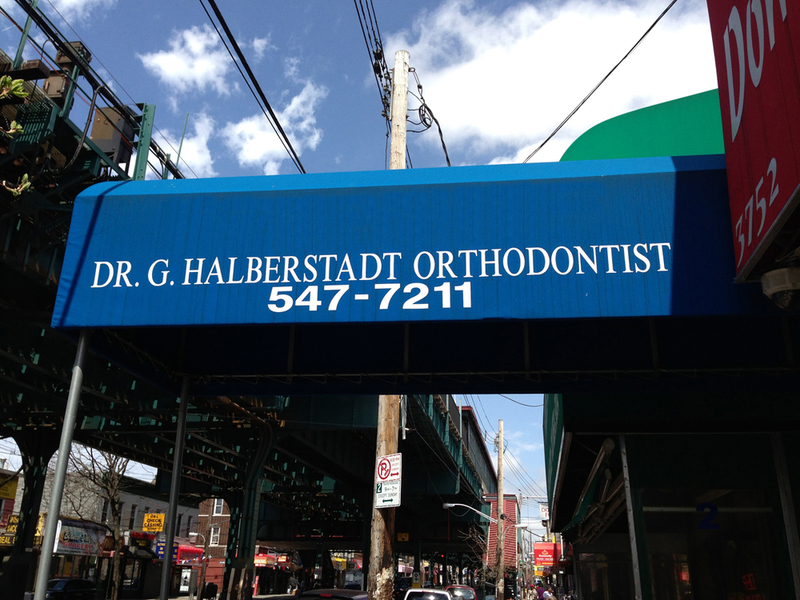 Dr. Geoffrey Halberstadt is located on Continental Avenue, close to the Forest Hills train station. Our orthodontics office also welcomes patients from Rego Park, Kew Gardens, Richmond Hill, Elmhurst and throughout the Borough of Queens, NY. Forest Hills orthodontist Dr. Geoffrey Halberstadt provides orthodontic braces and Invisalign clear aligners for children, teens and adults at our Queens office location. We accept all insurance providers and we offer affordable payment plans to cover the cost of your treatment. Our team goes out of our way to make you feel like you're part of our happy family of satisfied patients. We offer free consultation appointments. Call us or request an appointment online for our Rockville Centre office. Dr. Halberstadt has been amazing throughout my two years with him. When I first met him, he was friendly and informative. I am very comfortable having conversations with him and asking questions. Coming into his office feels very welcoming. He made having braces bearable because I know that I will have perfect teeth. I have had the best experience with him, I am very grateful for that. Dr. Halberstadt is an amazing orthodontist!! I just got my braces off and I don't think Dr. Halberstadt could have given me a more perfect smile!! He is always very kind and friendly to all his patients! I would recommend him to anyone who needs an orthodontist! I am a very long time patient at Dr. Halberstadt's, he takes care of every one with individual care. Dr. Halberstadt will take care of your needs to make your teeth perfect. In addition his loving secretary will plan your next visit and his nurses are very experienced. At Dr. Halberstadt's office, his staff provides a kind and welcoming environment. I also enjoy that the staff is bilingual to aid Spanish-speaking family members/patients. In addition, Dr. Halberstadt is a very fun and kind individual. I LOVE Dr. Halberstadt! He never hurts me and is always giving me good advice on keeping my braces clean. My visits are quick and easy. I'm glad Dr. Halberstadt is my orthodontist, he is very nice and does everything he can to help me have a perfect smile! Dr. Halberstadt and his team are very professional, friendly, funny, and always ensures the highest quality of service. I'm always happy with all my visits, they make me feel comfortable and welcomed. Dr. Halberstadt does a great job on putting a great and beautiful smile on your face and always makes sure everything is perfect. This team is truly amazing. The staff is friendly and courteous and tries to accommodate my busy schedule with convenient appointments. Dr. Halberstadt is experienced and knowledgeable and very concerned for his patients timely and positive orthodontic results. Keep up the good work! I can honestly say he's the best dentist I've ever had. He's patient & very funny. I couldn't thank him enough for giving me the smile I have now. It was a joy going into the office everyone is so nice and welcoming. Once you walk in to Dr. Geoffrey's orthodontics office you get a parking pass speedy fast.You always feel welcome. Dr. Geoffrey never hurts you and everyone is nice. He has a beautiful room and lots of handy equipment. If you have anything wrong with your teeth you can count on him. It is the best! I love this place because my teeth were very crooked and now my teeth are straight and are in the process of being fixed! I also like this place because it is the best orthodontist in this borough and neighborhood. It also has very nice staff helping us in as many ways as possible. I have been going to Dr.Halberstadt for a year and five months, he has been a wonderful Doctor. He always asks me how everything is and how my summer is going. He cares about his patients, the girls that work for him Kathy and Dianna are also wonderful as well. I will highly recommend him to anyone who wants a good Orthodontist, he is truly an awesome Doctor. The best orthodontist in New York City. I have been going to Dr. Halberstadt's office for 4 years since my freshman year of highschool and every time i go to his office he asks me how things are or how is basketball going. Even though I sometimes have broken brackets or broken pieces he is always patient with me and always helps me out. For my senior year of highschool I went away to Oregon and I didn't have an orthodontist to go to so my braces were not improving but as soon as I came back to new york he continued with me like I never left. Thank You Dr. Halberstadt! Dr. Halberstadt is one of the most attentive, thorough, and genial orthodontists you will find in the greater NYC area. At every appointment he meticulously examines my teeth and sometimes makes recommendations (e.g. it would be wise to get your wisdom teeth pulled) beyond the general scope of his work. Thanks to Dr. Halberstadt's diligent work, my teeth have aligned properly and give no indication that I ever required orthodontic care. I wholeheartedly recommend Dr. Halberstadt's practices to anyone seeking orthodontic help. 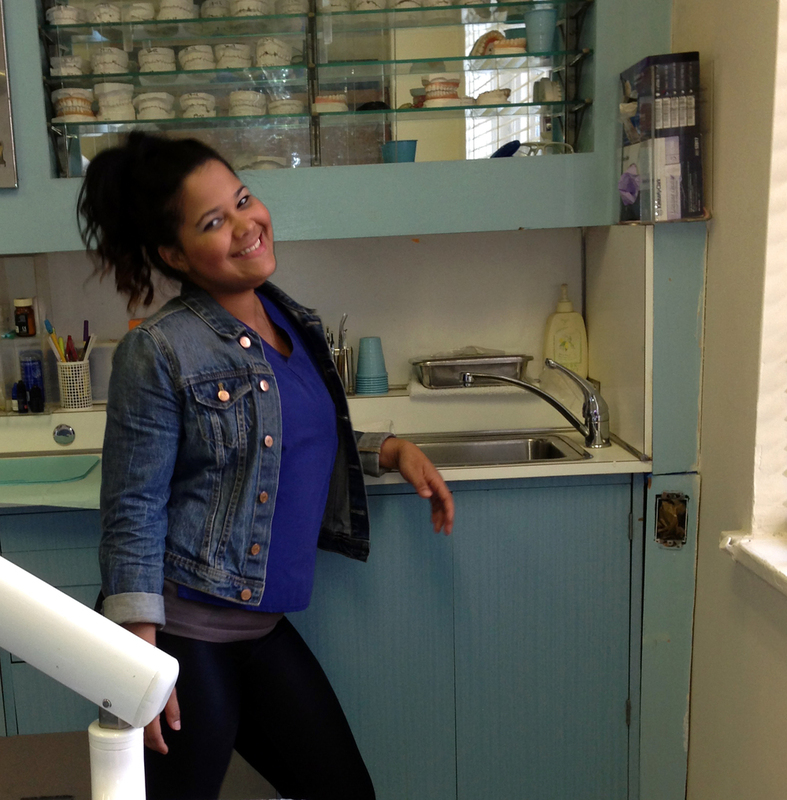 I have been attending Dr. Geoffrey Halberstadt's orthodontist office since I got my braces 3 years ago. Before he checks my braces at each appointment, he always asks me how I am doing and what I have been up to lately. His co-workers are very friendly as well. Scheduling an appointment is also very easy. Even if you cant make they have no problem with letting you come in another day. I recommend Dr. Geoffrey Halberstadt to anyone in need of orthodontist care.